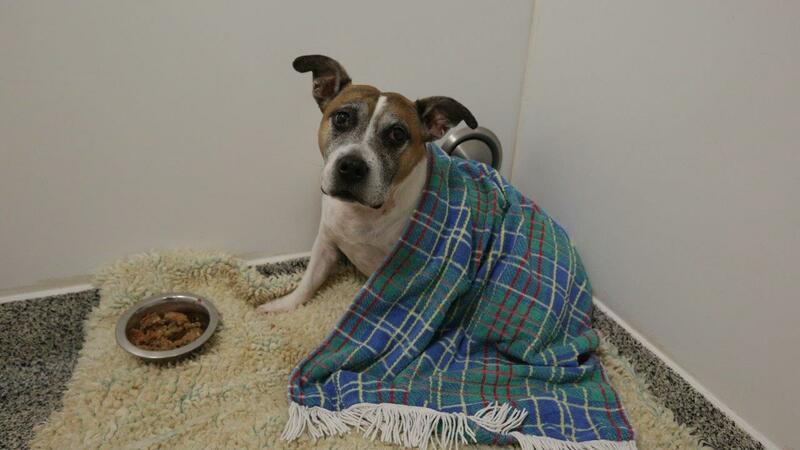 Staffordshire Bull Terrier Rosie is admitted as an emergency after her back legs suddenly collapse in the park. Rosie is a former street dog that animal lover Elaine and her family took in after finding her as a terrified stray. 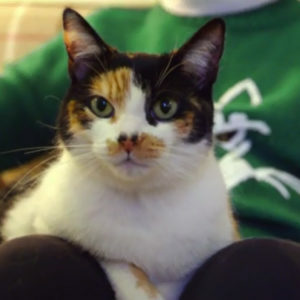 Rosie has lived with Elaine and Keith ever since they rescued her a number of years ago. Rosie is their world and, having had such a tough start in life, they want to ensure that the rest of her life is as happy as can be. Rosie was brought into Fitzpatrick Referral Orthopaedic and Neurology hospital as an emergency after she lost the use of her back legs. On examination, Noel explained that the problem was most likely related to her spinal cord, and that something was stopping the signals between Rosie’s brain and her back legs. Noel suspected that a disc in between the vertebrae of her spinal cord had dried out and exploded. The exploded disc material was potentially pressing down on her spinal cord and causing pain and damage, and if they didn’t do something quickly she may not be able to walk again. An MRI scan confirmed what Noel thought and the exact location of the problem. The family opted for surgery immediately, so Noel took Rosie to theatre straight away. In surgery, Noel cut away the tops of two vertebra to reach the damaged disc beneath. Noel swiftly found and removed the source of the problem - the exploded disc contents were like little rocks behind the spinal cord. 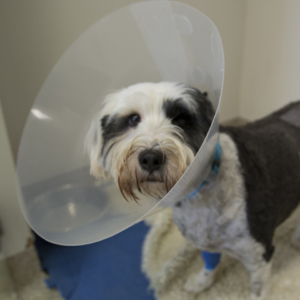 The procedure is relatively simple compared to the recovery, during which Rosie would need supportive care from the nursing and rehabilitation team. Rosie remained at the practice to have regular intense physiotherapy and hydrotherapy, two essential treatments that would help her recovery. Only time would tell the extent to which Rosie would recover normal use of her back legs. Twelve weeks later Rosie returned to Fitzpatrick to see how she was getting on. The improvement had been steady but she was making marked improvements. By continuing with her physiotherapy and hydrotherapy sessions she had regained the use of her legs and, although not perfect, she was already motoring around. Back home on the south coast, Rosie is enjoying being home with her family. 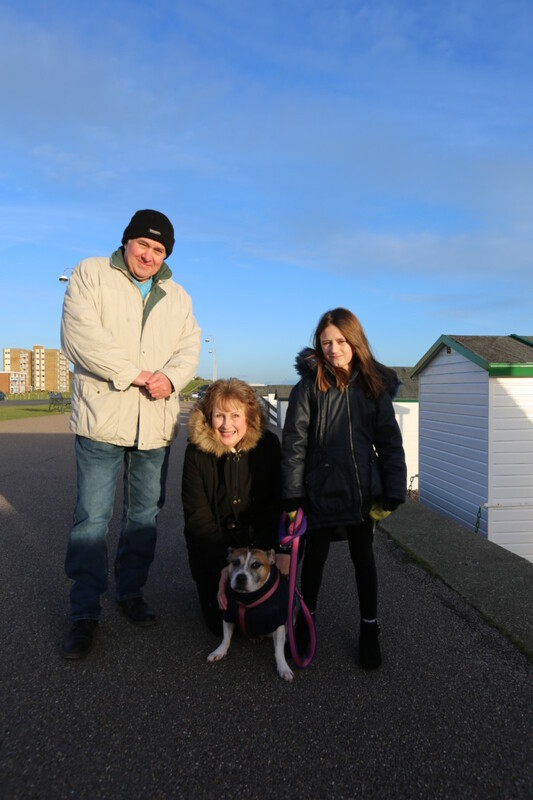 While Rosie regains her strength, Elaine and Keith and their granddaughter Starr enjoy taking her for walks, keeping a special canine buggy on hand in case she gets tired. 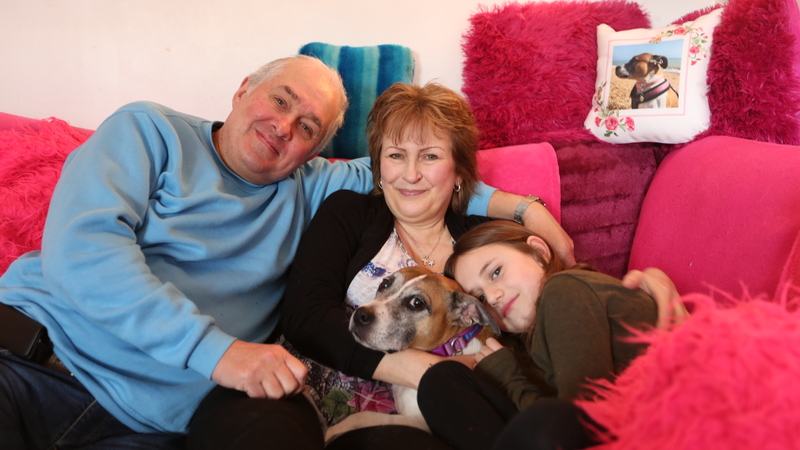 The family say Rosie will never want for anything, and we are delighted to see her doing so well.